The online world has become the MOST crucial aspect of people’s lives, especially Youngsters. And, one obvious reason for interest is to make additional income, but doing earning online is not easy by any means. However, with the recent rise of Blockchain technology and the Crypto world, it has really opened new ways to earn and build successful careers for many! But to be able to master the Blockchain concept is not the easiest. So, why not have something that could TRULY make things straightforward for everyone! The Book that is going to make the term Blockchain very familiar for ALL is finally here! Presenting to you "Blockchain Technology: The Ultimate Guide to Blockchain Technology for Beginners"
If you EVER thought that understanding about the Blockchain Technology was tough then now is the time to think again! 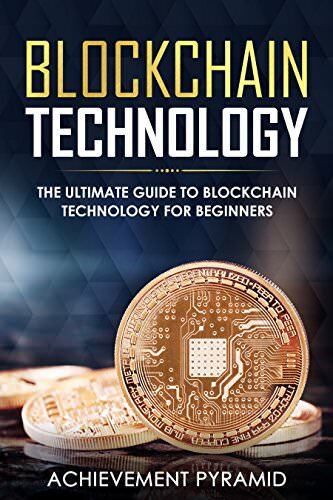 With the ultimate edition of Blockchain Technology book, it will teach you EVERYTHING you ever wished to know in an EASY way! •What you can use blockchain for. •Where the unique opportunities for blockchain lie. •How you can get started with the blockchain right away (it's not as hard as you think). •How you can position yourself to take advantage of the future benefits of the blockchain. So, you are basically a step away from mustering up the Blockchain technology in a simple, easy and straightforward way and language! And all this is not for 100 or 200 USD, but all this is for FREE till 11th August 2018! With just 4 days left, don’t miss out on this life-changing opportunity! Be sure to leave up your views, reviews, and feedback!